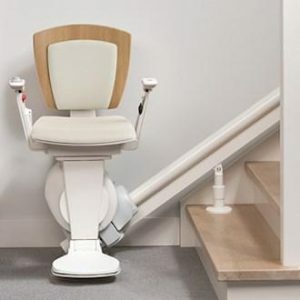 Try one out for size in our showroom. 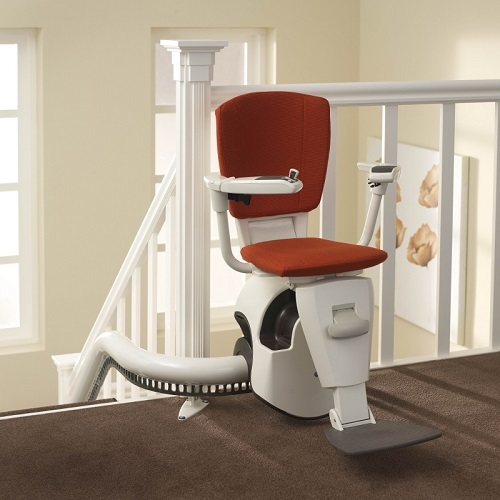 One of a range of curved stairlifts available from Somerset Stairlifts & Mobility. 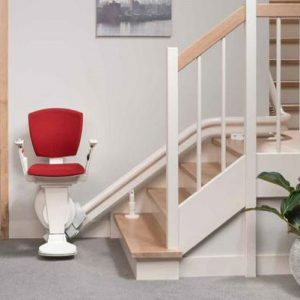 The Flow 2 is an award winning stairlift, manufactured using the very latest technology it combines functionality with style affording its users the very best in curved stairlift solutions. 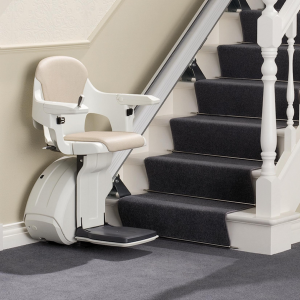 The design of the Flow 2 allows it to be fitted directly to your staircase, so there is no messy building work, dust or debris. 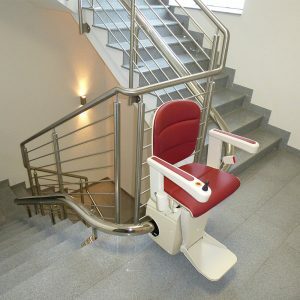 After an initial home survey each rail is profiled, matching each twist and turn of your staircase exactly. 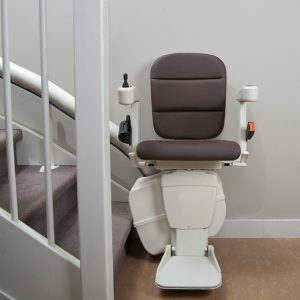 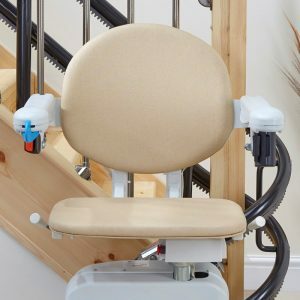 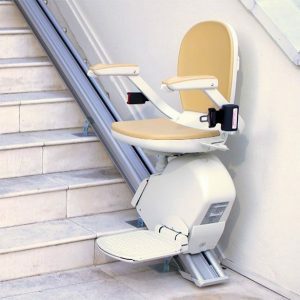 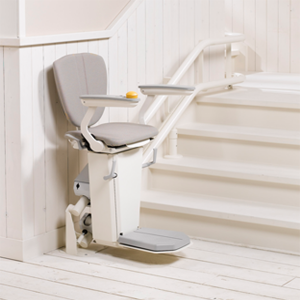 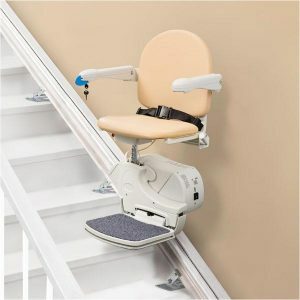 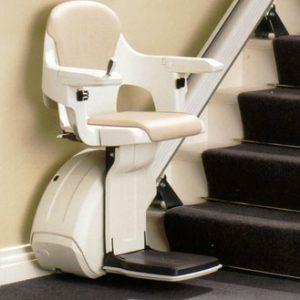 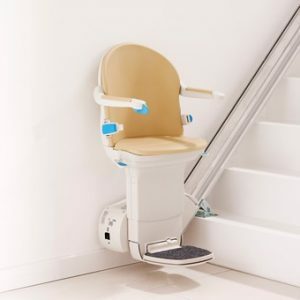 Once installed the first thing you notice about the stairlift is that it takes up very little space – both seat and arms fold away neatly to allow others to pass and use the staircase or landing independently. 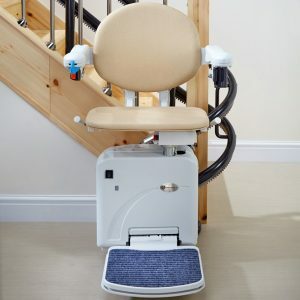 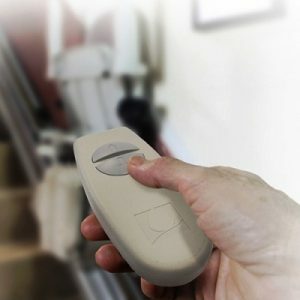 Please note: all of our stairlift prices are subject to a home survey and can increase depending upon the complexity or size of the staircase.